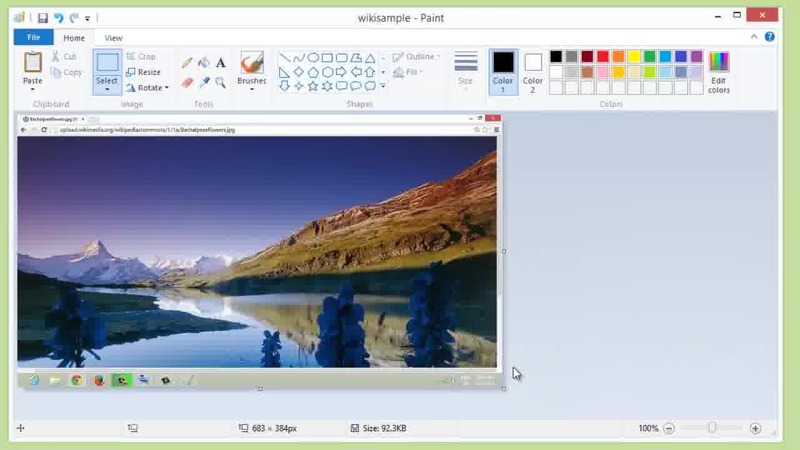 FN + print screen button ( an equivalent of pressing the print screen button as it captures the entire screen as saves it to an assigned folder), FN + windows + print screen button ( this enables the captured image to be directly stored on the hard drive of the co router without using any tools whatsoever. All the images captured are stored in a separate folder known as a screenshot. This can... What I want is to press PrintScreen and have the image on screen be saved automatically - Windows 8.1 has this feature if you press Win+PrintScreen. However, the goal is to reduce this to a single key. If you want to just snap the active window, hold Alt + Print Screen. If you just want to capture a portion of the screen you can use the clipping tool in the Accessories folder, it's built into Windows 7 and 8.